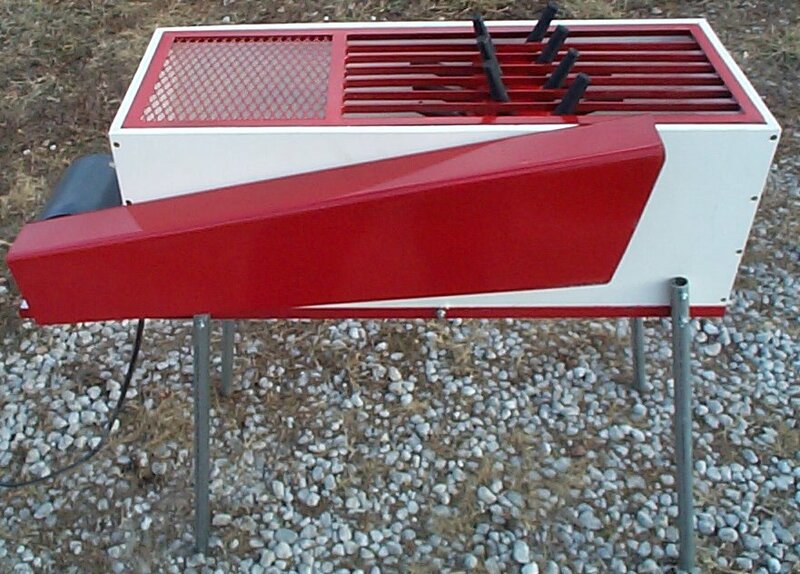 We have been manufacturing affordable poultry processing equipment for over 30 years. 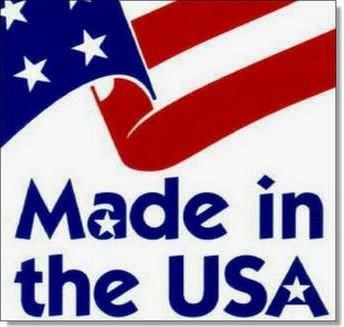 Located in Lincoln Nebraska, our products are proudly made in the United States. This plucker can be used to pluck any bird with feathers in as little as 30 seconds. 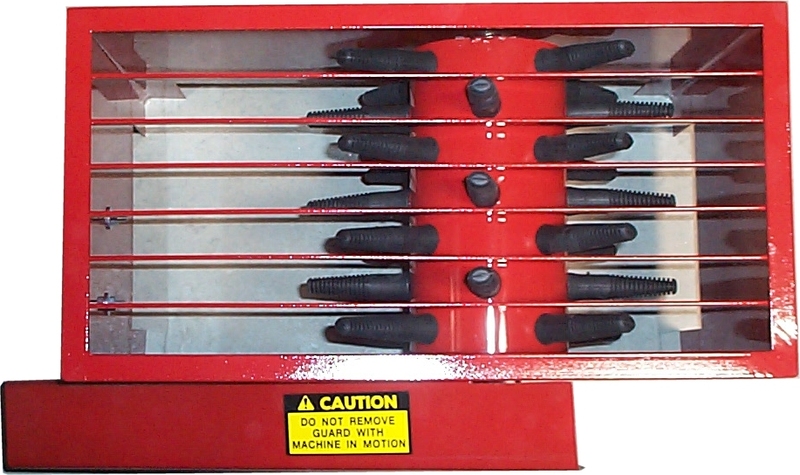 The deluxe plucker is designed to employ a high torque, fractional horsepower, 1725 rpm motor. The drum of this plucker uses 28 fingers to rub the feathers off of the bird. 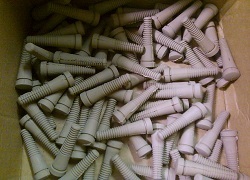 The main structure of the deluxe plucker is composed of white high density polyvinyl material (HDPV). 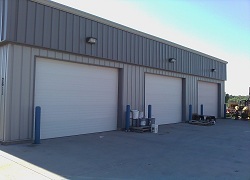 The HDPV is food grade material and is easy to clean. 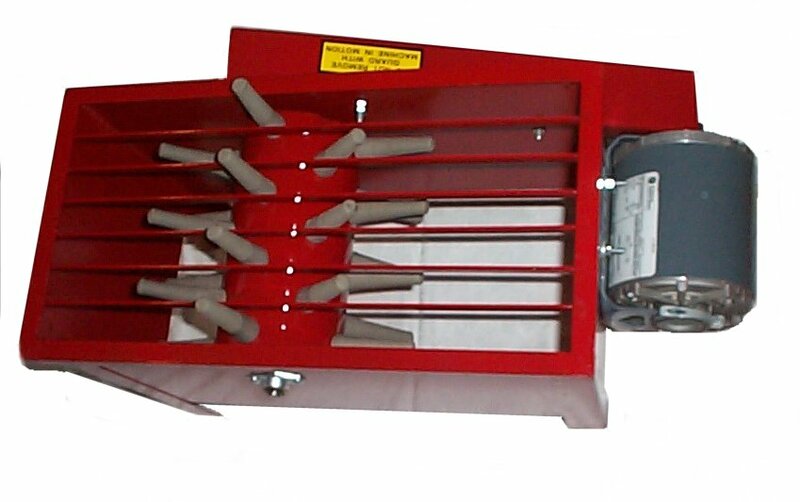 This plucker has a removable steel grate on the top and a steel belt guard on the side. 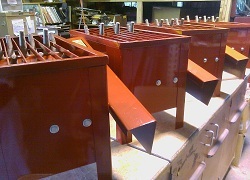 There are 4 removable steel legs that bolt to the side of the plucker. The deluxe plucker stands approximately 33 inches off the ground, the same height as most kitchen cabinets, making it an ideal working height. 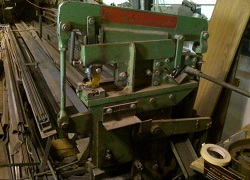 This puckers' approximate dimensions when collapsed are 40 inches (length) x 17 inches (width) x 16 inches (height). The approximate weight with the motor is 60 lbs. This plucker can be used to pluck any bird with feathers in as little as 30 seconds. 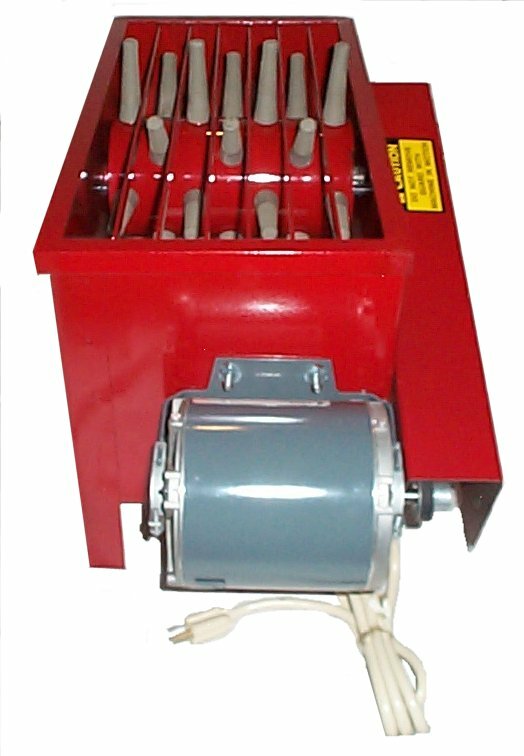 The tabletop plucker is designed to employ a high torque fractional horsepower 1725 rpm motor. The drum of this plucker uses 28 fingers to rub the fingers off of the bird. This plucker is compact in size and is designed to be placed on a tabletop or mounted over a barrel or other such container. 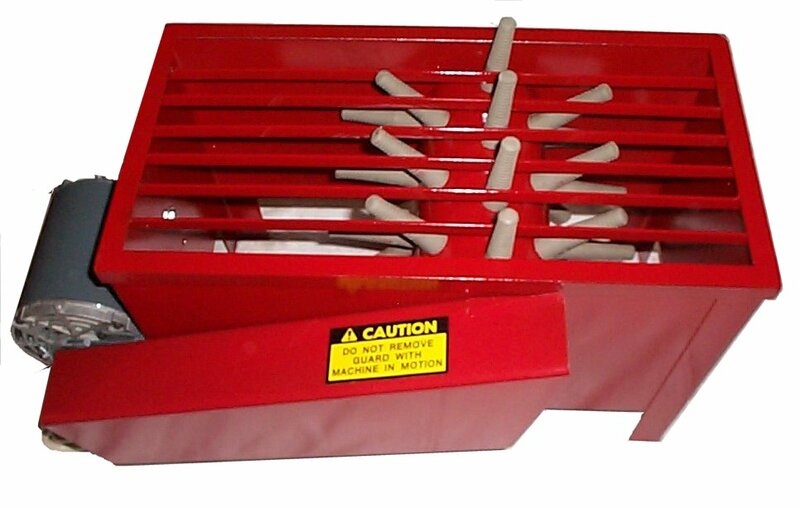 This plucker has a safety grate on the top and a steel belt guard on the side. 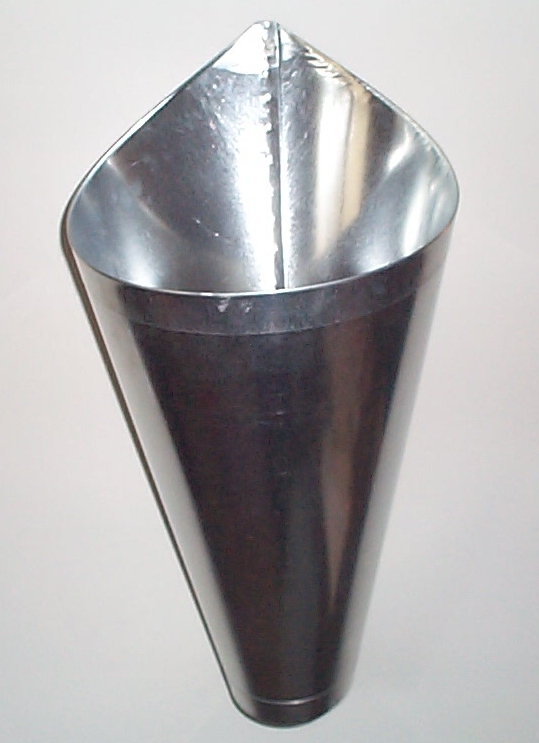 The dimensions of this plucker are approximately 12" (width) x 20" (length) 14" (height). The approximate weight with motor is 50 lbs. 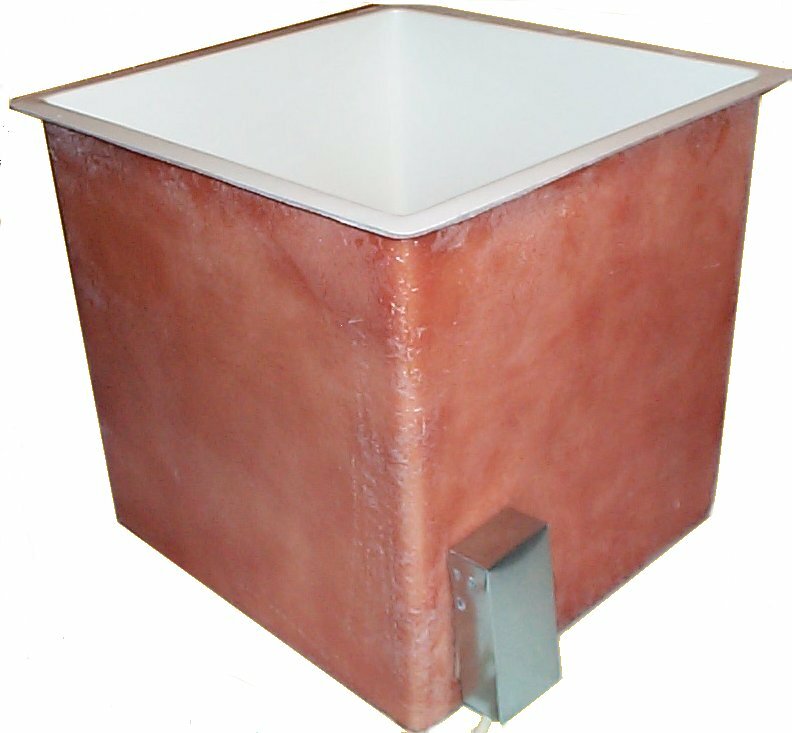 Scalding vats are designed to employ a heating element(s) to heat water for scalding birds. 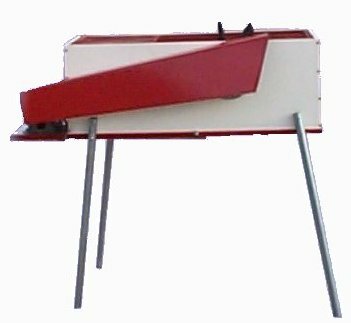 These units are ideal for dipping birds to loosen the feathers prior to plucking. The scalding vats are made from molded fiberglass. Scalders are available in three models: single 115 volt, dual element 115 volt and 240 volt. 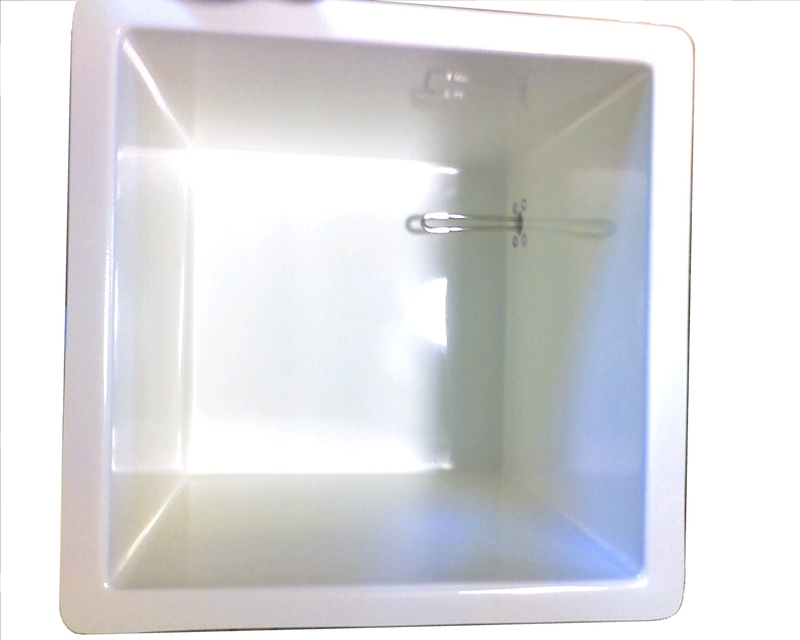 The single element 115 volt unit has one element and can heat water to 155 degrees in approximately 10-25 minutes (depending on the starting water temperature.) The dual element scalder has two 115 volt (1500 watt) elements and both of these elements can be used to bring the water temperature up faster. The dual is versatile allowing just one or both elements to be plugged in. 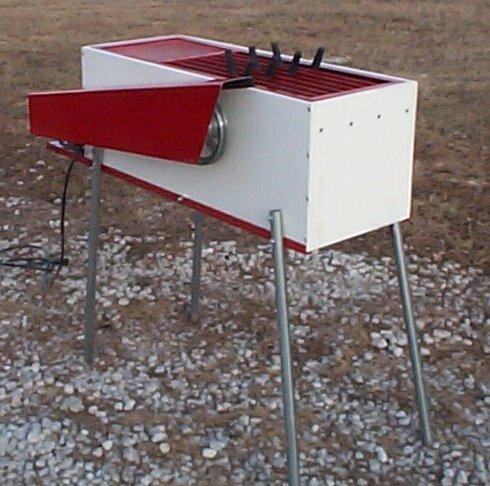 The 240 Volt model uses a 4500 Watt element to heat the water. Scalders can hold approximately 14 gallons of water. 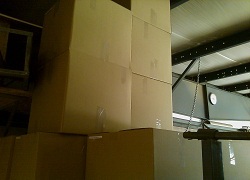 The scalders' approximate dimensions are 18 x 18 x 18 box and the shipping weight is approximately 54 lbs. 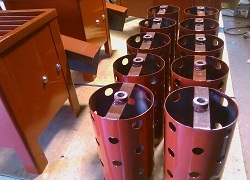 Dux Industries manufacturers two main sizes of restraining cones for bleeding birds. These proven designs have been produced for the past 30 years and provide for quick and perfect bleeding. The turkey cone is designed to hold a turkey or goose sized bird. The broiler cone can hold a chicken or capon up to 10 lbs. 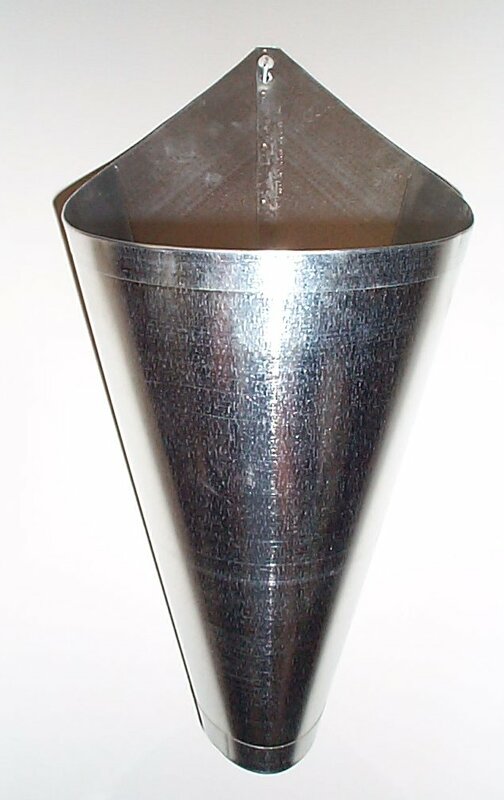 Cones are made from galvanized formed steel and each has a 3/8 inch hole at the top for hanging on a nail or hook. 2016 Dux Industries. All Rights Reserved.